Perch is Kurrein’s ­first self-produced piece of furniture. 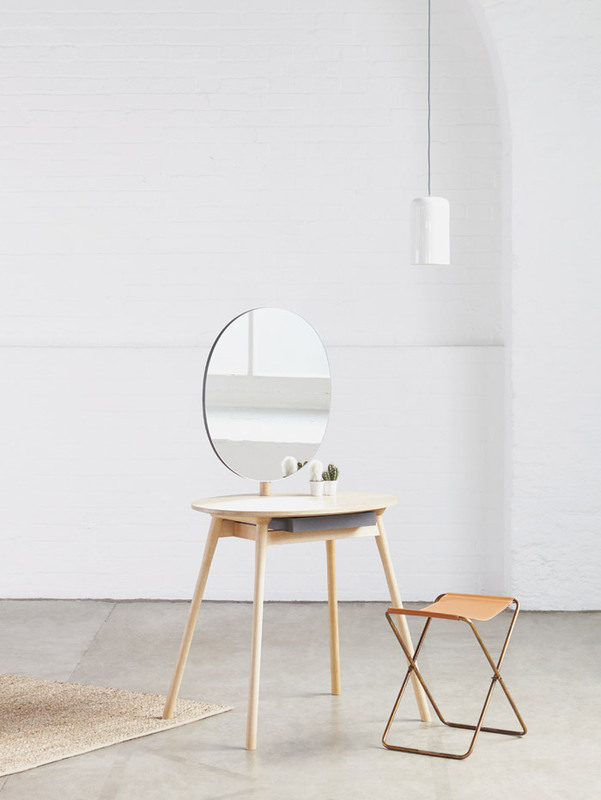 A make-up table with a large, seamless feature mirror, the design allows it to sit discreetly and comfortably ‘in even the most awkward spaces’. 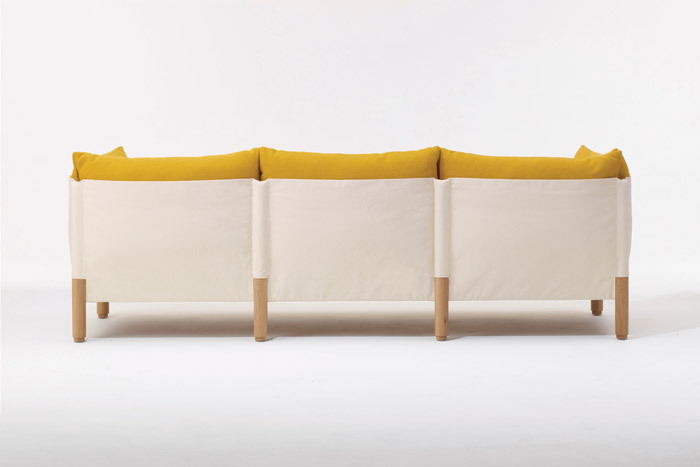 Tepee marks Kurrein’s third and ‘most adventurous’ sofa design. Taking its form from the simplicity of a hammock, it was designed for SCP’s Sofa in Sight exhibition held during last year’s LDF. SCP commissioned Kurrien, with her sofa design manifesting itself as the Lincoln. She also was commissioned to design something for SCP’s Boxed Collection range. Designing side table Lily, it and Lincoln were launched at LDF in 2013. Lily has since become one of SCP’s bestselling products. 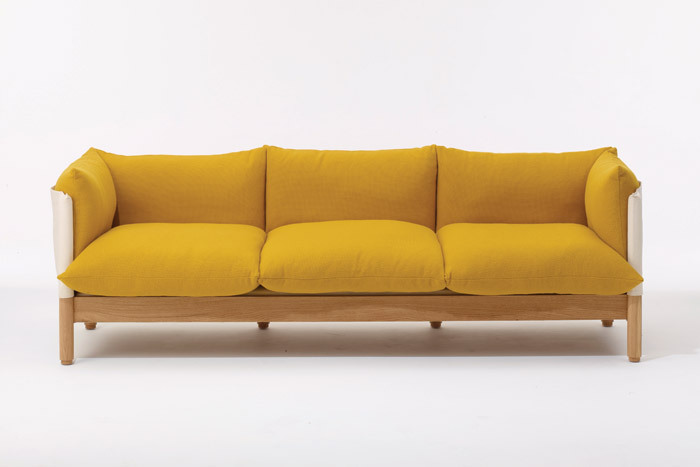 Aponi is Kurrein’s first range designed for Joined+Jointed, launched at LDF 2015. 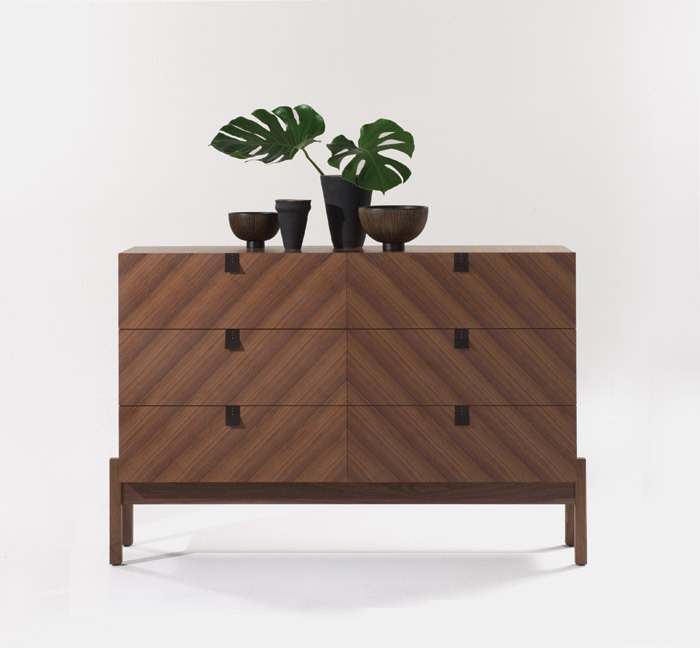 Comprising drawers, bedside table and foldaway desk, its ‘primitive’ form and hand-crafted elements are inspired from Kurrein’s travels to South America. After graduating from Buckinghamshire New University in contemporary furniture and related product design course in 2007, Kurrein says she focused on an occupation designing furniture. She was offered an internship with Matthew Hilton shortly after graduation. After her internship ‘I was employed for the next six years by established furniture and industrial designers’, she says. Now, in her own riverside studio in London, Kurrein plans include building her portfolio with renowned international furniture brands. She will also be exhibiting at the London Design fair during LDF with a new manufacturer, Molinari, as part of the Trentino Collaborations project.